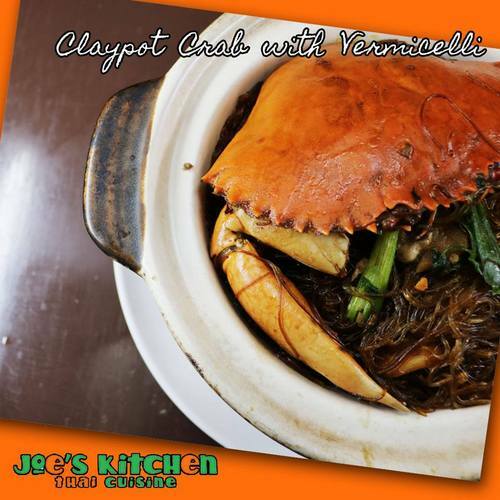 Joe’s Thai Kitchen restaurant operates within Singapore’s Bukit Merah district, at 125 Bukit Merah Lane 1. Established in 2006, Joe’s Thai Kitchen offers a wide range of authentic and delicious Thai foods. …Braised Fish Maw Soup (Crab Meat / Chicken), Red Curry Chicken, Dry Curry Pork (Panang Mu), as well as Claypot Seafood Tofu. The restaurant’s menu is available in full at the official website, at www.joesthaikitchen.com. While at the official website, you can also read more about the restaurant and it’s owners’ backgrounds. Joe’s Thai Kitchen also has an official Facebook page, located at www.facebook.com/joeskitchen/.